Run with Hollywood Hulk Hogan on the streets of Tampa, where a bass guitar became his salvation. Fight alongside him in the wrestling arenas of Japan, where opponents try to bite his fingers off to make a name for themselves. Slide into the ring with Hogan against 700-pound Andre the Giant, who later became Hogan's best friend after he found out he couldn't beat him down. Learn why Minnesota Governor Jesse Ventura hates his guts. Go head-to-head with dennis Rodman in a hard liquor-drinking contest, and see what it's like to share a dressing room with Liberace. Hogan's no-holds barred autobiography takes you on a roller-coaster ride through all the highs and lows of his extraordinary career. Find out what makes Hogan cry like a baby, what makes his blood boil, and what scares the living hell out of him. 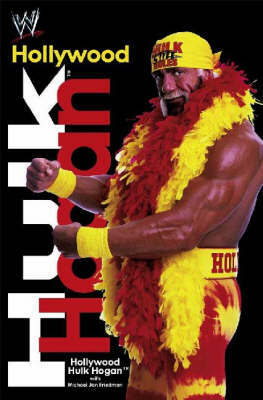 Then you can say you know the man called Hollywood Hulk Hogan.